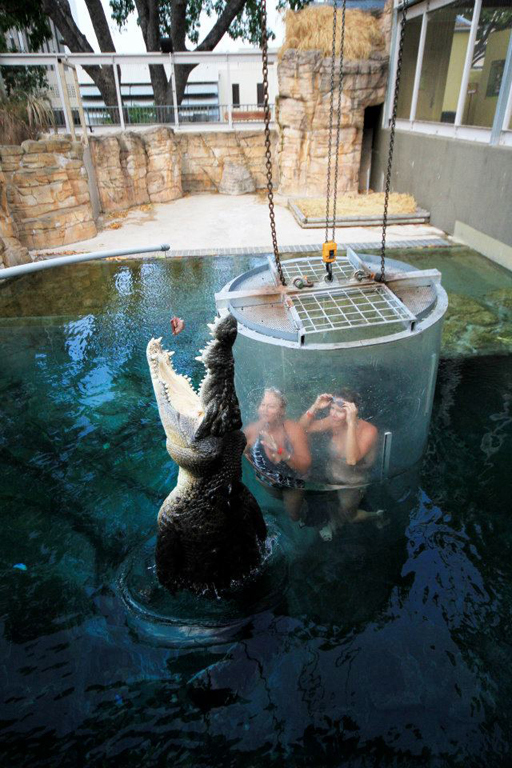 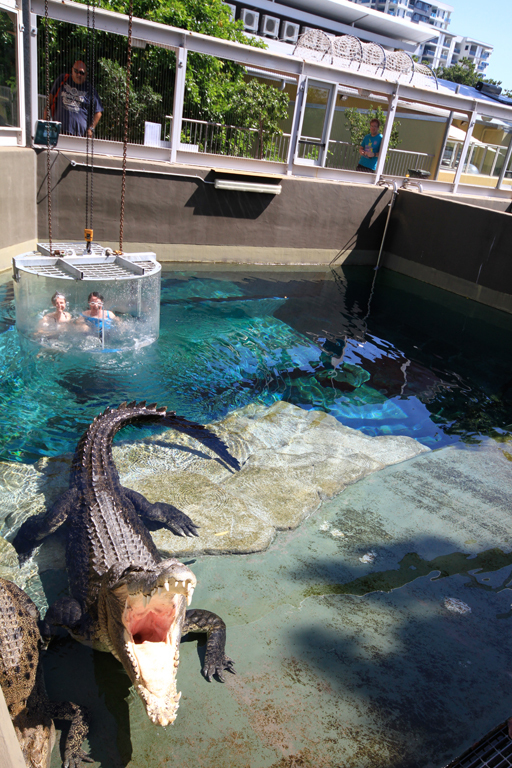 Come face to face with the World’s largest reptile in the Cage of Death. 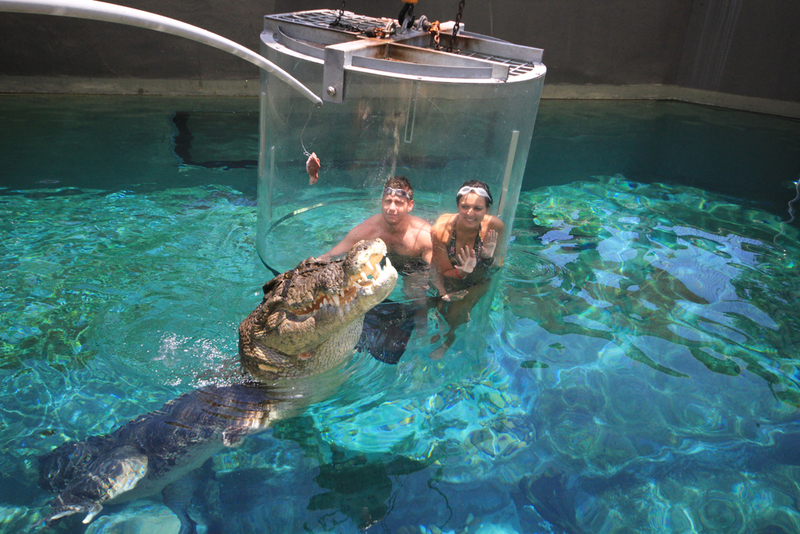 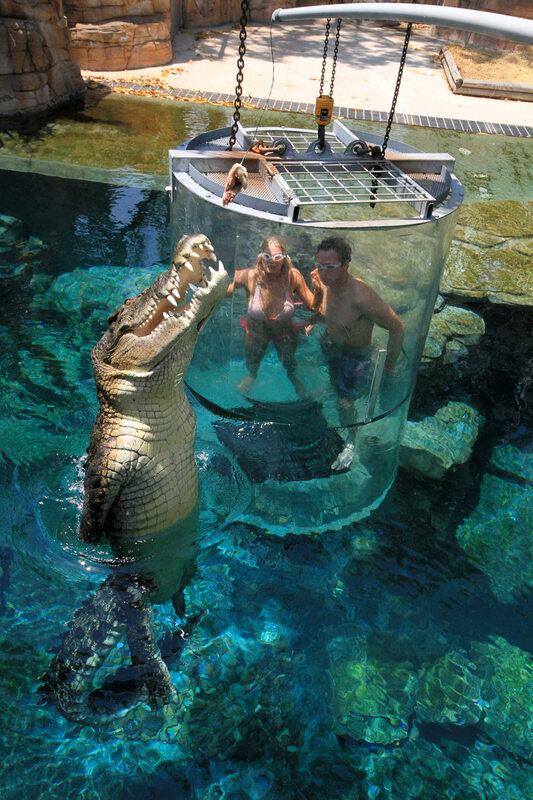 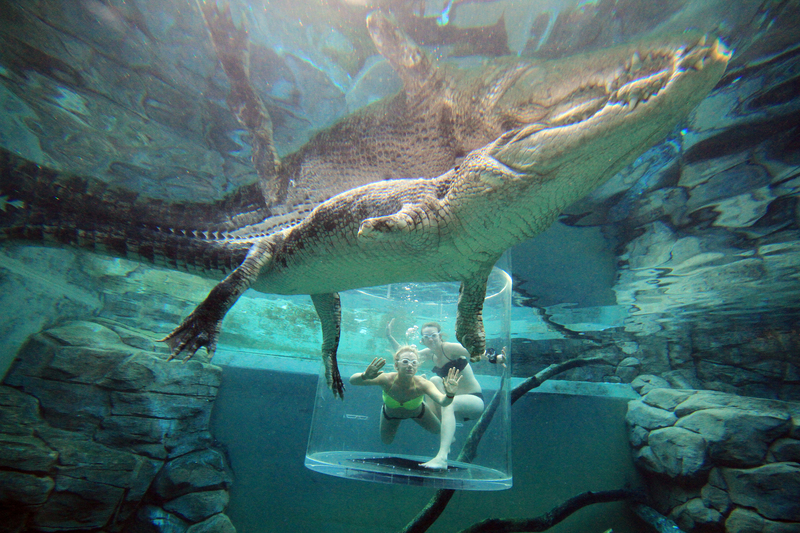 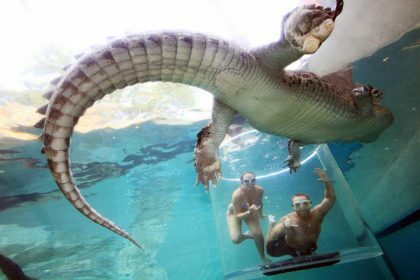 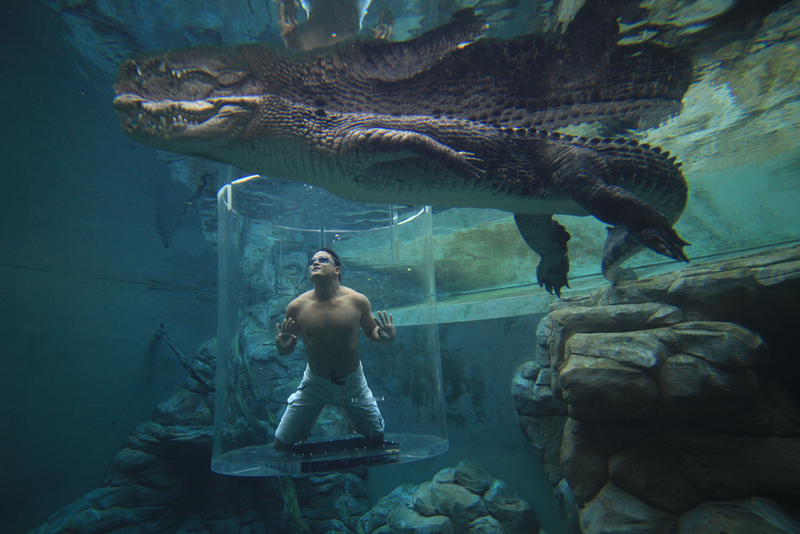 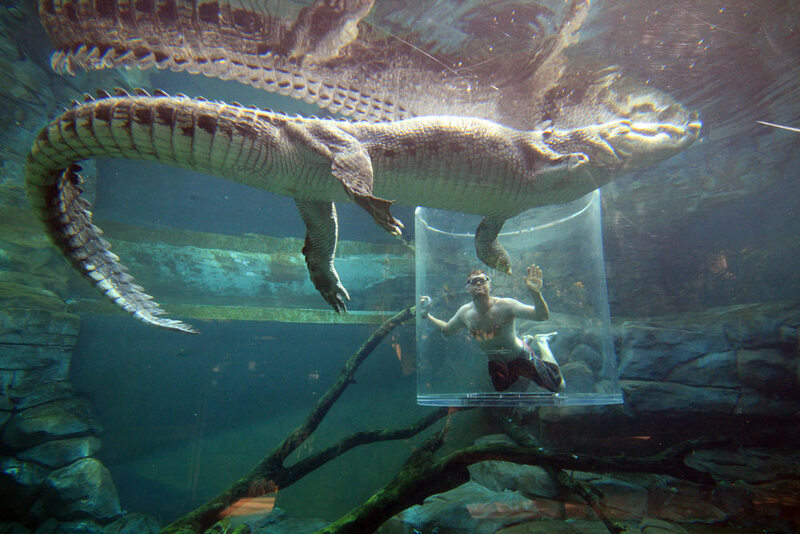 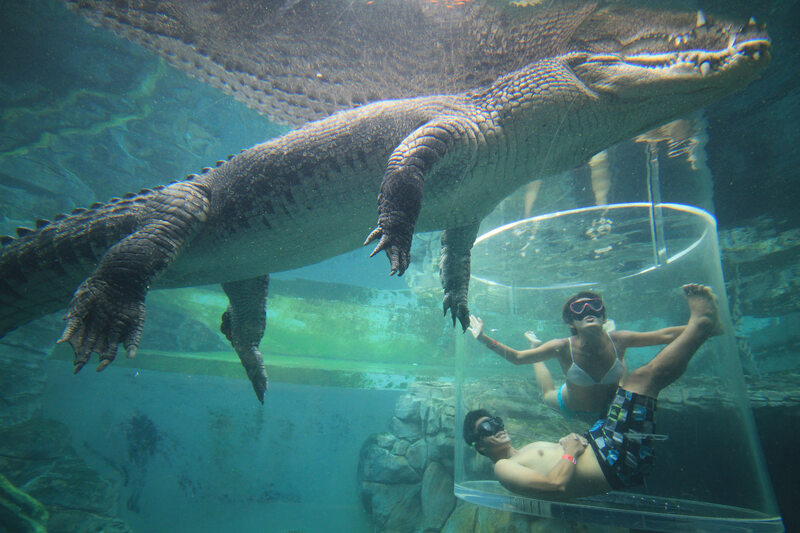 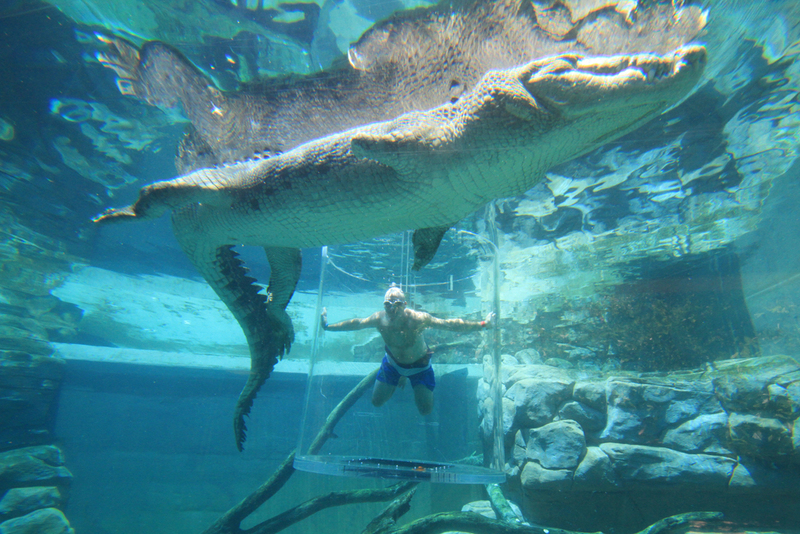 Every Cage of Death dive includes 15 minutes in the enclosure with one of these massive reptiles. 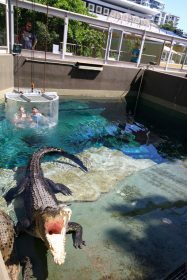 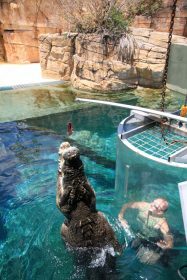 Regular feeding by our crocodile handlers while you are in the cage encourages more movement from the crocodiles and ensures an up close encounter that must be seen to be believed! 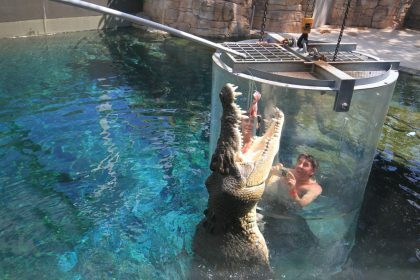 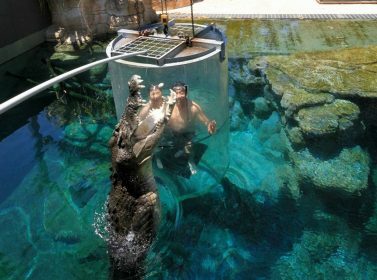 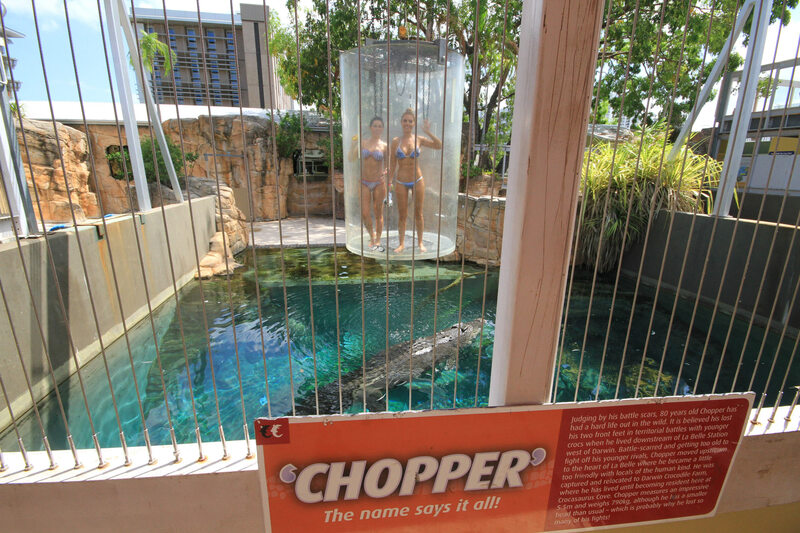 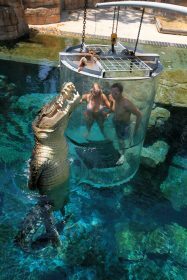 Operated by an over-head monorail and designed for 1 or 2 people per cage*, the Cage of Death has you suspended above the crocs before being lowered into the pen for a closer encounter with these amazing reptiles. Meet some of our famous inhabitants, such as Chopper, Axel and William & Kate and be wowed by this unique, once in a lifetime experience. 11 session times run between 9.30am and 5.00pm daily. 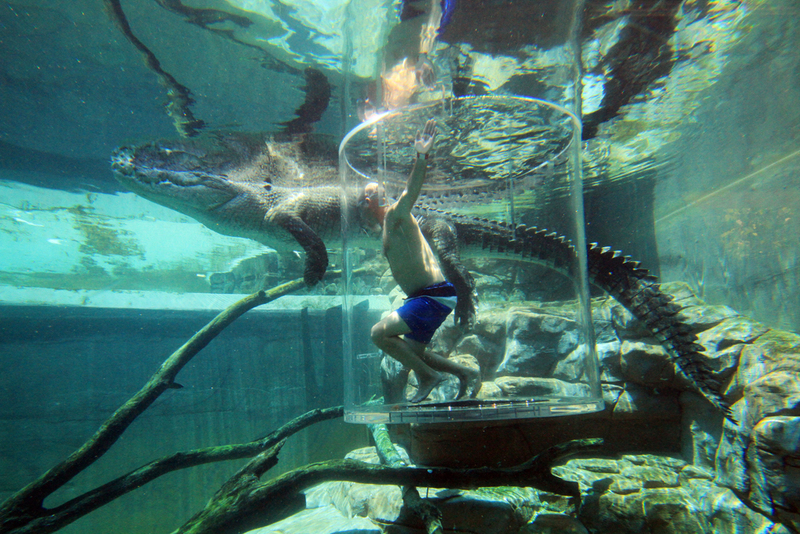 Prices include full day entry to Crocosaurus Cove. *Minimum age restriction applies, please see Terms & Conditions. 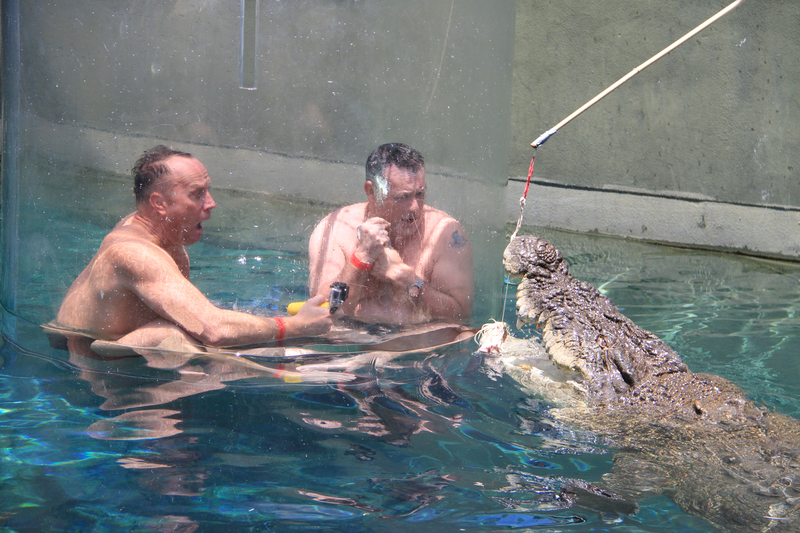 Participants must arrive 30 minutes prior to the confirmed dive time for safety briefing. 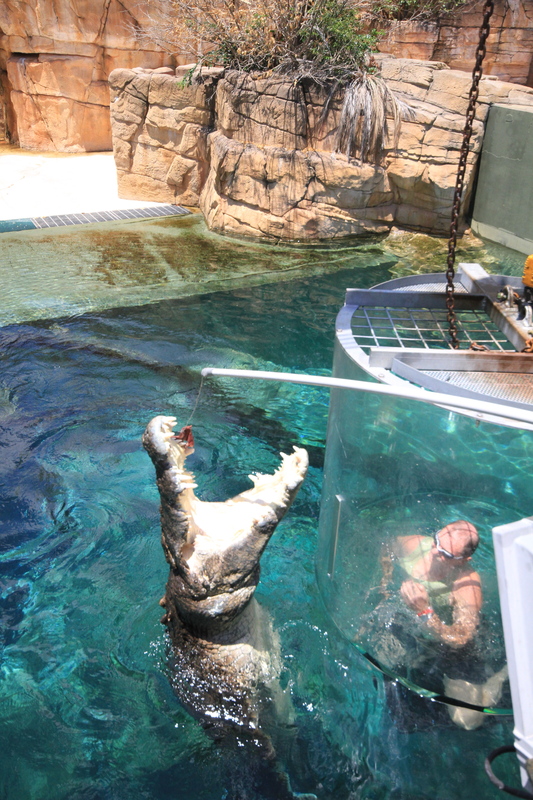 Participants will be required to sign an indemnity release form from Crocosaurus Cove prior to the dive time. 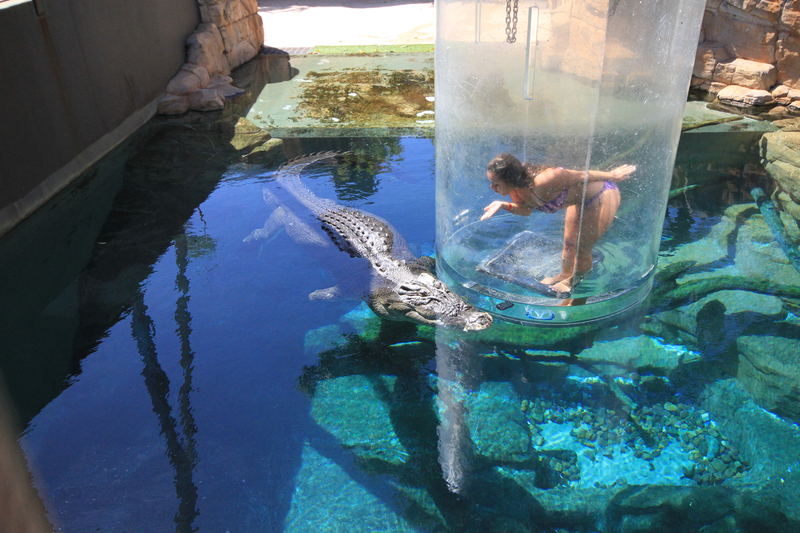 Participants between 15-17 year of age must have parental consent and indemnity signed by a parent. 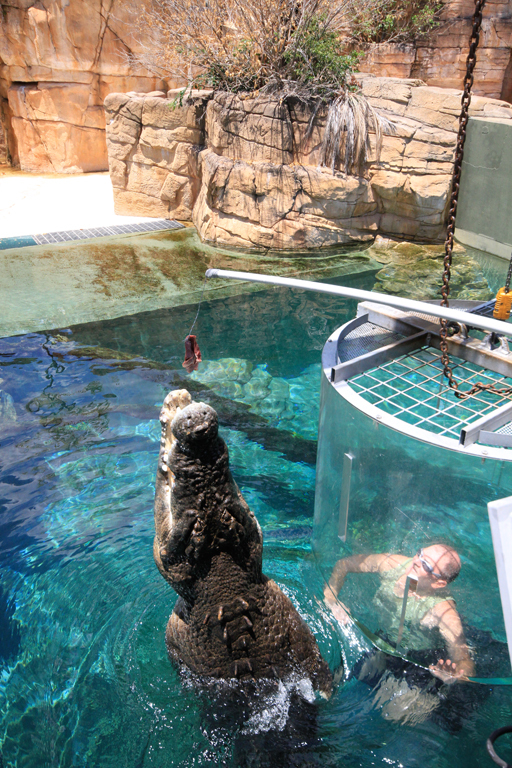 Participants must be able to get themselves up and down a ladder. 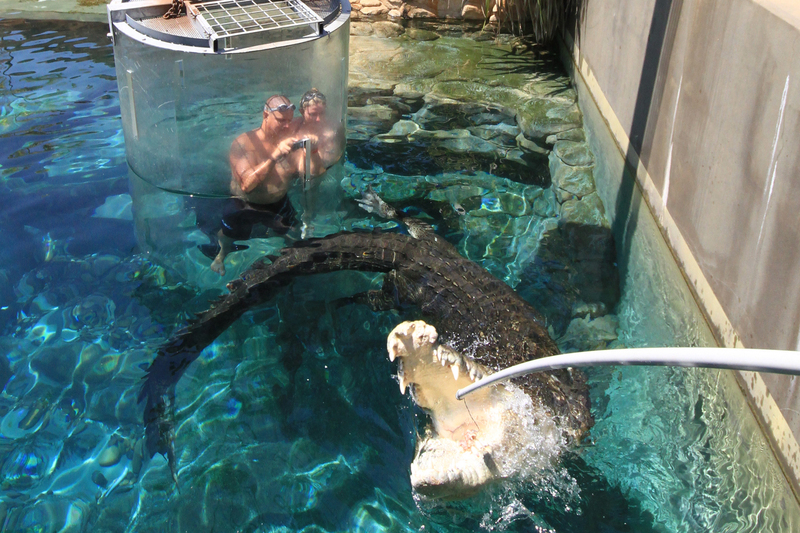 Participants be physically able to pull on the safety brake if required. Reptiles are cold-blooded animals and their energy levels and feeding habits can vary depending on weather conditions and temperatures. 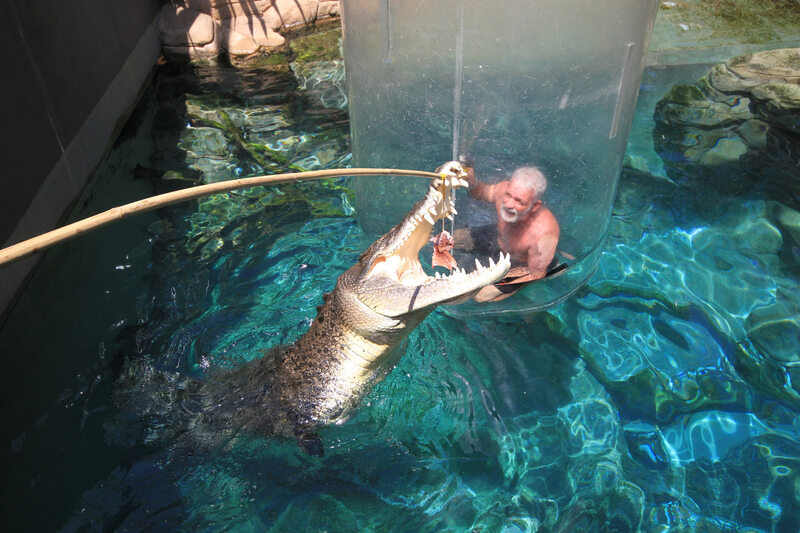 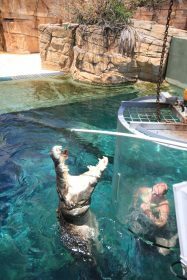 Throughout the dry season, May-Sep, feeding performances may be affected due to lack of appetite, while during the build-up in October and November record high temperatures may also have an effect on feeding and the positions of the crocodiles in the water. 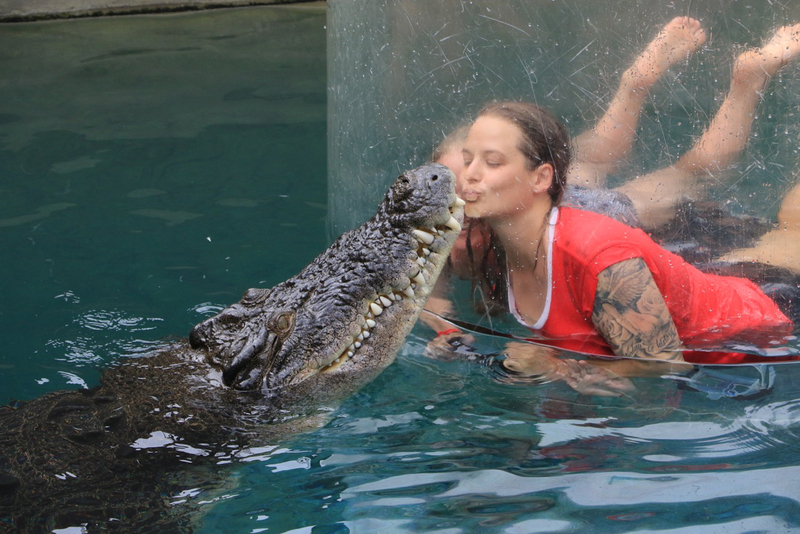 Our Crocodile handlers have a wealth of experience when it comes to animal behaviour and every effort will be made to ensure you have an up close experience, however please note that we can not guarantee that crocodiles will feed year round. 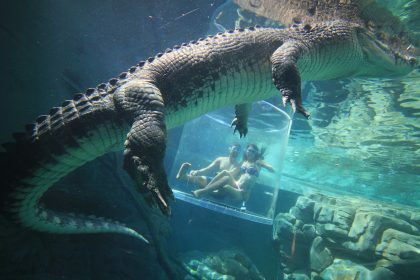 Feel free to contact our Ticket Desk for more information or follow us on Social Media to see the latest images, which showcase a daily library of our Cage of Death dive experiences.